This is a view from April this year, a look at the Kilchoman dunes in the morning haze when I was returning from my run on the beach. 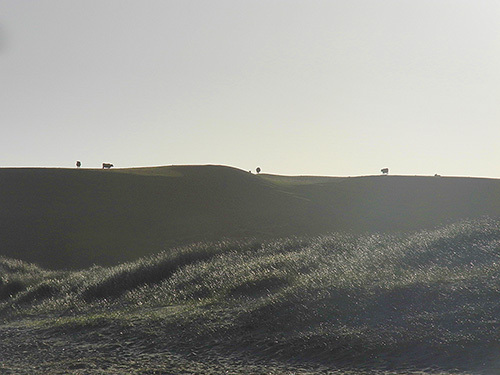 A few cows grazing on the top of the dunes. The hazy sunshine creating some nice light. Good night and have a great weekend!